BEIJING: China’s economy cooled in the fourth quarter under pressure from faltering domestic demand and bruising US tariffs, dragging 2018 growth to the lowest in nearly three decades and pressuring Beijing to roll out more stimulus to avert a sharper slowdown. Growing signs of weakness in China — which has generated nearly a third of global growth in recent years — are fuelling anxiety about risks to the world economy and are weighing on profits for firms ranging from Apple to big carmakers. Fourth-quarter gross domestic product (GDP) grew at the slowest pace since the global financial crisis, easing to 6.4 per cent on-year as expected from 6.5 per cent in the third quarter, the National Bureau of Statistics said on Monday. That pulled full-year growth down to 6.6 per cent, the slowest annual pace since 1990. GDP in 2017 grew a revised 6.8 per cent. With support measures expected to take some time to kick in, most analysts believe conditions are likely to get worse before they get better, and see a further slowing to 6.3 per cent this year. Factory output picked up unexpectedly to 5.7 per cent from 5.4 per cent, but it was one of the few bright spots, along with a stronger services sector. Fixed-asset investment rose 5.9 per cent in 2018, the slowest in at least 22 years, as a regulatory crackdown on riskier financing and debt weighed on local government spending early in the year. Though retail sales growth picked up marginally in December to 8.2 per cent, the consumer strength gauge is around the weakest in 15 years. Auto sales in the world’s biggest car market shrank for the first time since the 1990s. 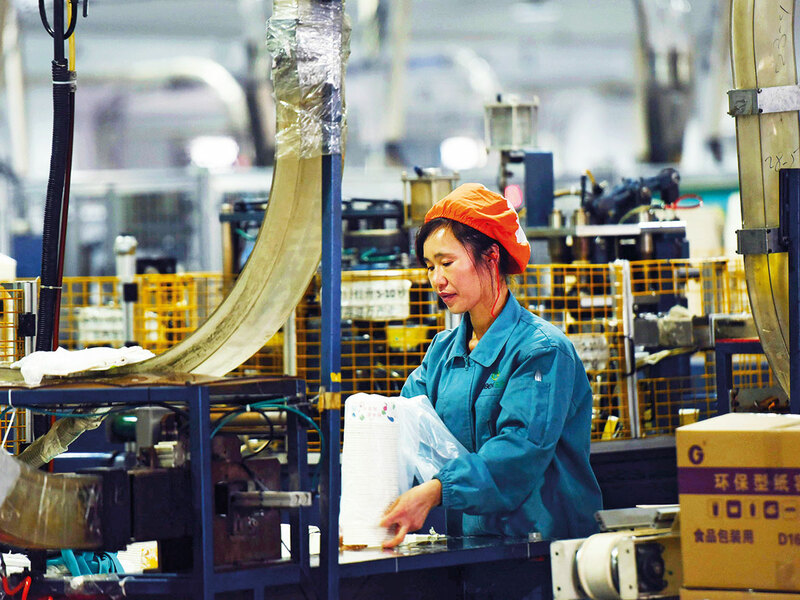 Some factories in Guangdong — China’s export hub — have shut earlier than usual ahead of the long Lunar New Year holiday as new business dries up. Demand is weakening globally, not just in the US. Net exports actually dragged on China’s growth by 8.6 per cent last year, Reuters calculations based on official data showed. White House officials have given markedly different views on progress so far. China’s Vice Premier and lead negotiator Liu He is due to visit Washington for the next round of talks at the end of the month. Further RRR reductions are expected in coming quarters, but most analysts do not see a cut in benchmark interest rates yet, as policymakers wait to see if earlier steps begin to stabilise activity. Some analysts believe it could deliver 2 trillion yuan (Dh1.08 trillion) worth of cuts in taxes and fees this year, and allow local governments to issue another 2 trillion yuan in special bonds largely used to fund key projects.